Why invest in a Uniform? As a business, your brand is one of your greatest assets. Your people represent this brand and create the first impression for your clients. How your people represent your brand should not be taken lightly. Providing uniform clothing not only promotes your brand in a professional manner, it also helps your staff feel part of the team. It is important to understand that the physical product we supply is secondary to the end result we will achieve for you. We will work with you to ensure your brand is promoted in the most efficient and cost effective way, whilst also being practical for its day to day use. If you are looking to simply purchase workwear as cheaply as possible then in all honesty we probably aren’t the people for you. If you are looking to work with a professional company to enhance your brand in your marketplace using Corporate Clothing as a tool to achieve this – then lets talk! We have many innovate systems in place to help our clients manage their uniform spend and uniform distribution. This is particularly useful for clients operating at multiple sites. We offer all clients the opportunity to use our web-based ordering system, via www.select-logmein.co.uk. 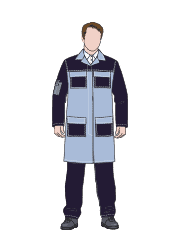 This gives clients the opportunity to manage every aspect of the uniform issue, from wearer information to specific order history for different sites. 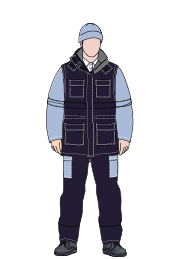 We supply all of our workwear and uniforms in individually packaged wearerpacks, and we have unique methods of ensuring that your uniform issue is completely trouble free – all at no extra cost. We are committed to ethical sourcing which is why we ensure our garments are manufactured in factories that meet both SA800 Social Accountability Standards and ISO14000 environmental standards.